I hit level 58 tonight in A Realm Reborn and between catching my breath because of what’s happening in the main storyline and looking for aether currents everywhere, I need to give this expansion some serious props in terms of gear design – omigosh, it’s all so pretty! Aurin race set (leftmost) and some caster sets between lvls 50-57. 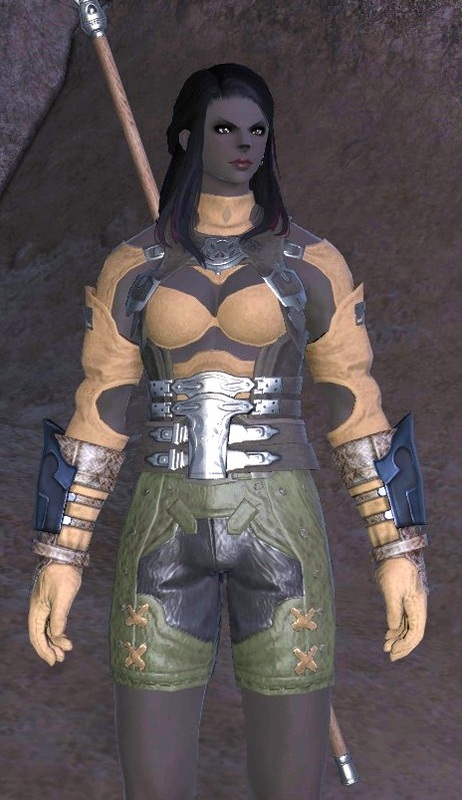 Gear details have always been stunning in FFXIV (they’re all in 3D which helps a lot…) but adventurers starting out in early Eorzea had to put up with many a yellow burlap sack and baggy clothes in the past. Not so in the expansion: Heavensward is packed with armor sets from the get-go and they are all new and shiny and easy enough to acquire through questing or dungeons. I especially love the baroque and gothic vibes of some of my black mage’s gear and feel the class is properly treated for a change! It’s rather remarkable how SE aren’t stingy on providing all this gear without demanding blood sacrifice. While good-looking and matching gear (weapons included) is hard to come by in many MMOs, it is impossible to underdress in Eorzea. And for my part, I find this very motivating. I’ve found that I really like the level 58 caster set — so much so that I’m thinking of glamoring my higher-level gear to look like it. The black robe and the witch’s hat just sing out “Damage-dealing caster” to me. FWIW, this is my current appearance with the Tomes of Law gear now, and I actually rather like it also. Hah yes, some of the early gear is definitely a bit meh but even the yuckier sets have that level of detail, at least. What level are you? And Dragoons look pretty badass later on with huge weapons, so there’s much to look forward to. 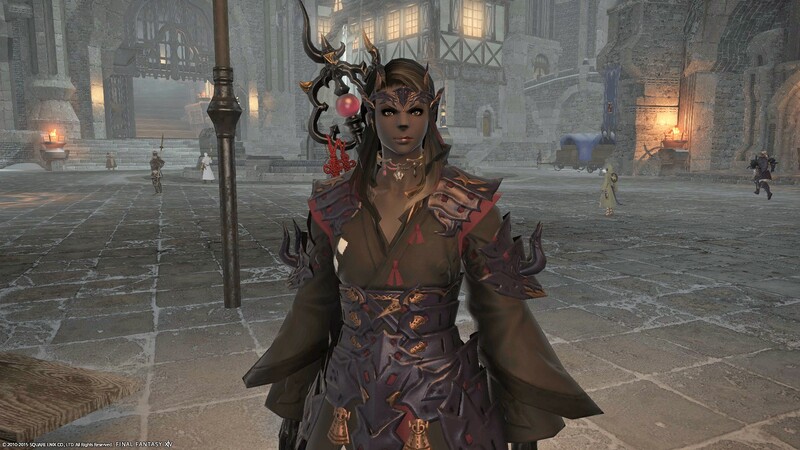 In the mid-upper 30’s I found myself looking like this as a Dragoon. This prompted a visit to the market board becuz holy wow that’s awful. Ended up looking like this afterward. Much better!